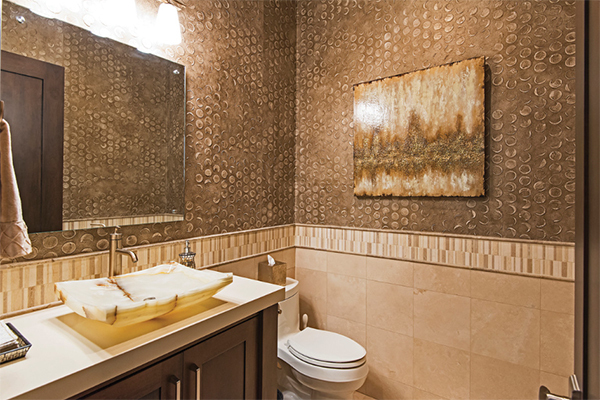 Calico hand painted wall paper featured. I have a great post in store for you today, but before I get into these amazing hand-painted wallpapers I want to share two exciting announcements. I’ve been interviewed by Reader’s Digest as their interior decor expert for their recent feature 18 Holiday Decorating Mistakes You Didn’t Know You Were Making. Check out this article for pitfalls to avoid and off-the-beaten path holiday decorating ideas inspired by me. 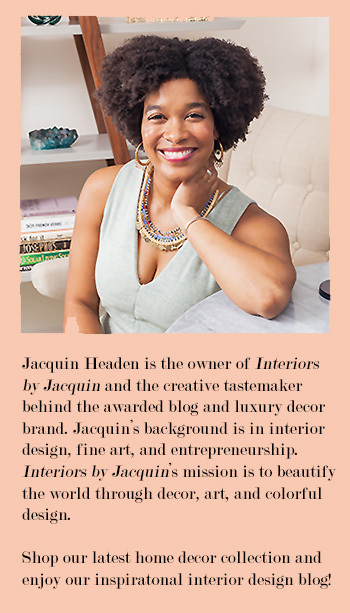 Also, HouseSeek Australia has honored me with their Top Interior Design Blog Award! Thank you to HouseSeek for this great news and great honor. If you’ve been searching for something more original for your wall coverings, it doesn’t get more original than hand-painted wallpaper. The customizations are endless and you can really hone in on a design that truly matches your style, interior, and preference. Here are 5 great resources for hand-painted wallpaper to suit every style. What I like about Calico… Calico’s gold and silver hand-painted wallpapers all of a luxe feel helping to create that resort vibe at home. 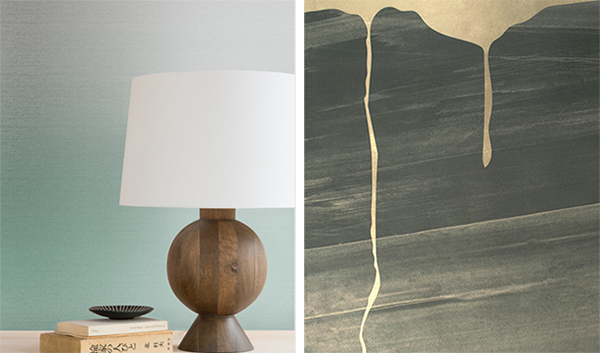 I also love their ombre linen wallpapers, also hand-painted and shown below. 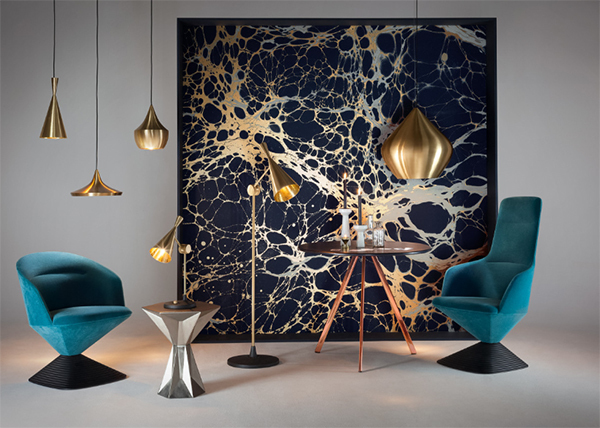 What I like about Voutsa… Voutsa’s wall coverings are seriously bold and they will paint anything you want on there.. really, anything so this is the perfect brand for the more adventurous style maven and creative types. 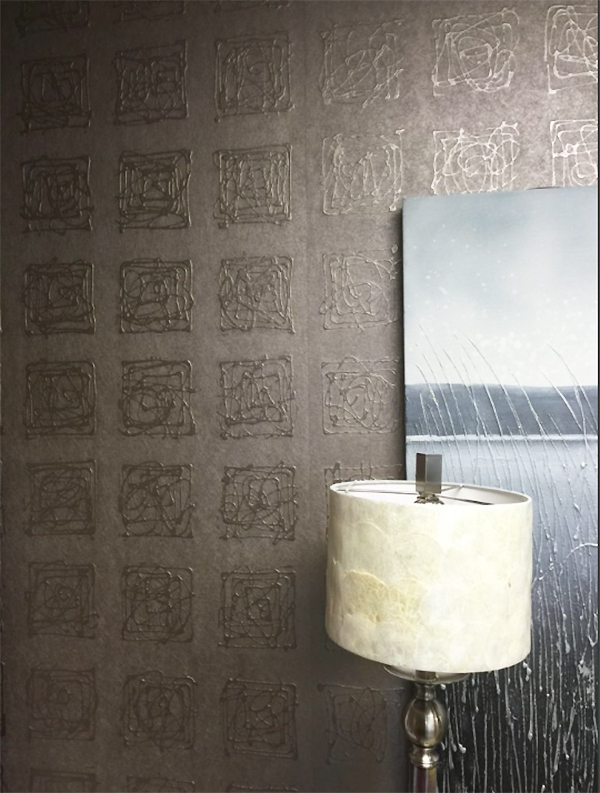 Why I like about Vahallan… Vahallan’s wallpapers incorporate familiar textures in innovative ways bringing in elements from nature, arts & craft, and industrial materials into their designs. There are even more exciting wallpaper textures on the Vahallan website. 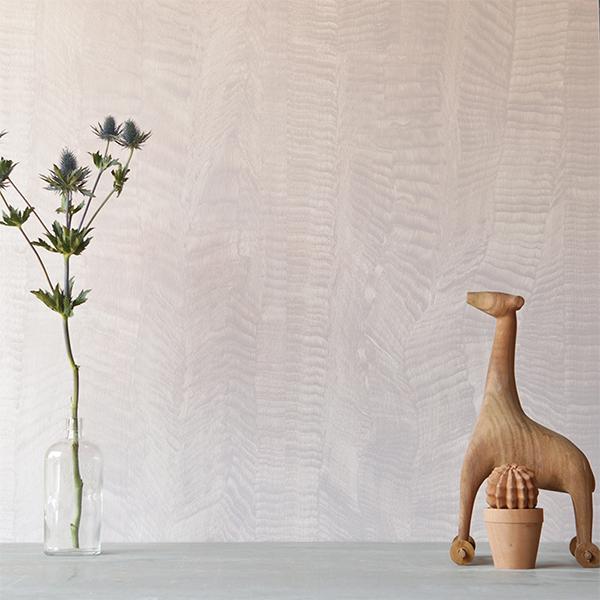 What I like about Sarkos… Sarkos offers a dreamy selection of hand-painted wall coverings in a wide range of intricate patterns, while still executing designs that are serene and soothing. These bold patterns are expertly crafted in neutral shades to add something special to your space without competing with your current decor. 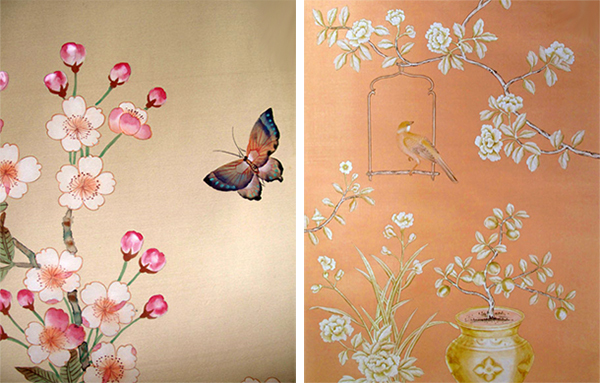 What I like about Griffin & Wong… Griffin & Wong’s gorgeous hand-painted wallpapers have a light and whimsical feel that may just bring an extra dose of sunshine to your day. 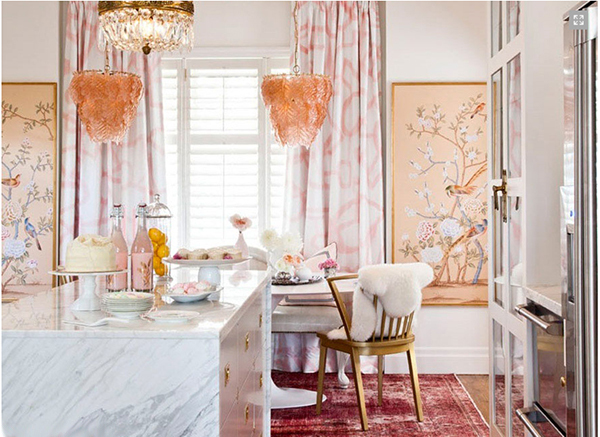 If you’re new to Chinoiserie as a design style or you’re looking for more Chinoiserie inspiration, check out my recent post on Chinoiserie for more. Hand-painted wallpapers are certainly the epitome of home decor luxury, but that should go as no surprise with the custom nature of hand-painted wall coverings. However, if you’re feeling motivated to give hand-painted wallpapers a try but want to do it on a budget, try this tutorial for DIY hand-painted wallpaper at home. 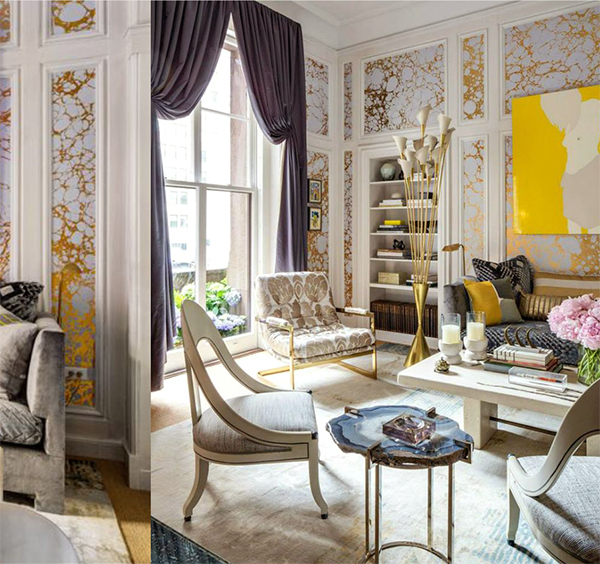 The result looks extremely professional and it just may quell your desire for this luxury look until you’re ready to try one of these amazing wallpaper designers. 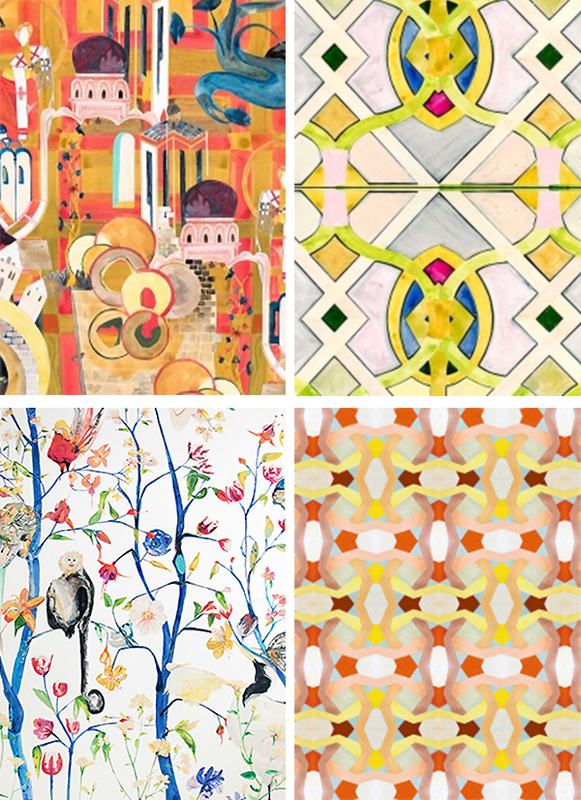 For those of you ready to take the leap, luxe hand painted wallpaper from one of these 5 designers will not disappoint.